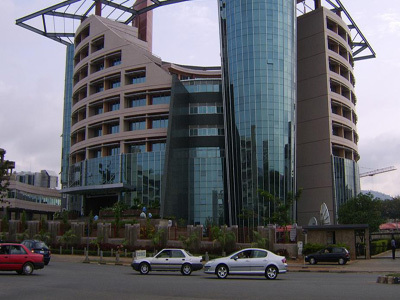 The Nigerian Communications Commission, Thursday held a conversation forum where it educated telecom consumers on the availability of services intended to give them a choice. Speaking at the forum, the Enugu Zonal Controller of NCC, Mrs. Emilia Nwokoro said that NCC has mapped out several campaigns strategies to deliver the overall intent of the commission throughout 2017 one of which is the conversation forum. According to her, the various public enlightenment programmes are intended to educate and inform telecom consumers on their various rights to demand for good quality of service from their network providers. She however regretted that Nigerians are yet to understand and appreciate the role of NCC between network providers and telecommunication consumers. Also speaking during the event, the face of Nigerian Telecom consumers and versatile female entertainer, Helen Paul said that consumers have the right to make decisions as regards the kinds of transactions they get from their network providers. “At NCC, we are particular about our customers and that is why we have chosen to serve as mediators between the customers and their various service providers to ensure that consumers complaint are organization a timely manner,” she said. NCC is dedicated to supporting a market driven communication industry and promoting universal access as well as being a responsive world class communication regulatory organization.